British Prime Minister Theresa May said today that she has directed the Home Office to “urgently” look into how Brexit is affecting citizens rights in Northern Ireland. 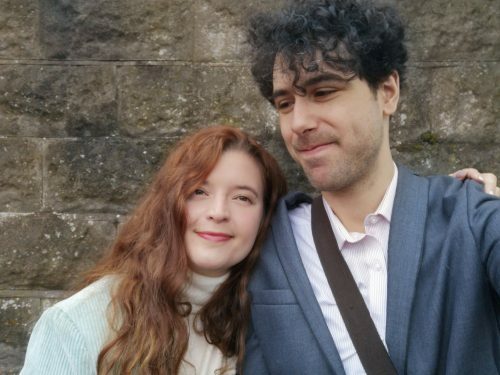 Since last November, the Irish World has been reporting on the case of Emma de Souza, currently embroiled in a lengthy legal battle with the Home Office as they argue that she – and others who have yet to go public – cannot exclusively identify as Irish, seemingly contravening birthright provisions resulting from the Good Friday Agreement. Until today, in the prime minister’s speech addressing Northern Ireland in Belfast, the British government had not yet made reference to these cases or to how Brexit will affect citizenship rights in Northern Ireland. Without any specific references, Ms May said that she understood “the serious concerns” that such cases raise. “In some cases recently, some people have encountered difficulties in securing their rights as Irish citizens to bring in family members…,” she said. Reacting to the speech, Ms de Souza said that although the prime minister’s statement is “welcome”, legislation is needed to safeguard rights. “It does not change the facts or the hard reality – that people like myself are being dragged through the courts for exerting an Irish identity. Actions speak louder than words,” she said. 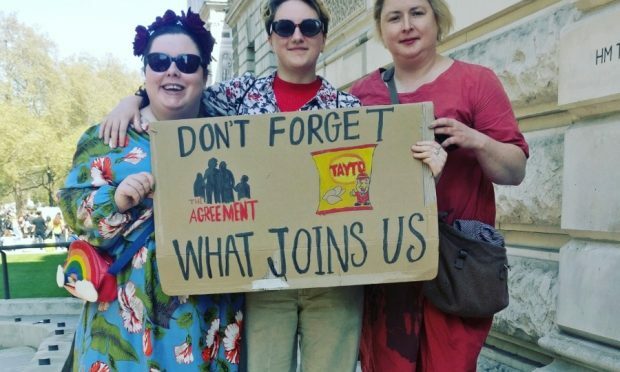 An Oireachtas committee on human rights recently heard that both the Irish and British governments need to provide “clarification” on the rights of Irish citizens in the UK to ensure they do not become second-class citizens. A lack of meaningful legal footing with the Common Travel Area also endangers the rights of the Irish living in Britain, according to human rights experts. Last month, Colin Harvey, a professor of Human Rights in Queens University Belfast, told the Irish World that lawmakers pay “lip-service” in regards to upholding the Good Friday Agreement but are not applying it in practice. Maria Caulfield, the Conservative MP who sits on the Northern Ireland Select Affairs Committee, said that she was “extremely concerned that the Good Friday Agreement is not being upheld” in the de Souza case and said that her committee may need to scrutinise the growing concerns. The legal stand-offs Ms May refers to stem from families from Northern Ireland who are seeking EU residency cards for non-European Economic Area members as the department contends that dual citizenship – the fact they are British citizens proclaiming also to be Irish citizens – disqualifies them from the application process. The prime minister used her speech this afternoon to claim the government will find a solution that “commands broad support across the community in Northern Ireland, and that secures a majority in the Westminster Parliament”. “I am not proposing to persuade people to accept a deal that does not contain that insurance policy for the future,” she said, adding that she will not remove the backstop and will only “make changes” to it. It remains unclear what changes may be accepted by the EU and the Irish government who have both declared that the withdrawal agreement cannot be reopened. 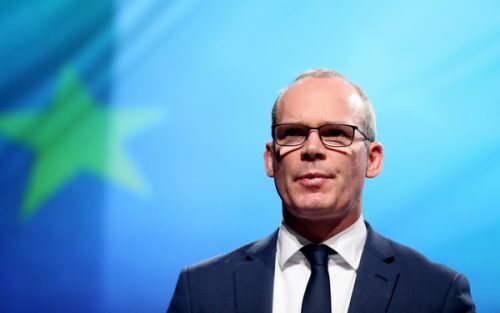 Simon Coveney, Ireland’s Tanaiste and Minister for Foreign Affairs, has repeatedly called plans to alter the backstop arrangement “wishful thinking”. In her most notable public appearance in Northern Ireland since the Brexit vote, Ms May suggested that an expiration date on the backstop – the agreement intended to prevent a hard border in Ireland – could be required to secure a deal through parliament. Although both the DUP and UUP, the two main parties of Ulster unionism, are united in their opposition to the withdrawal agreement and backstop as they currently exist, Northern Ireland’s business community and nationalist parties have been outspoken in their support for the backstop. The SDLP, Sinn Fein, Alliance and the Greens and the Labour Party in Northern Ireland – who all backed Remain in 2016 – want alterations to the backstop. Ms May acknowledged that there are concerns amongst nationalists in Northern Ireland about their rights post-Brexit – and that Northern Ireland voted to remain – but promised unequivocally that she will “not allow a return to a hard border” in Northern Ireland. In her speech today, the prime minister also said that she wants the “strongest possible bilateral relationship with Ireland” and argued that that the UK’s relationship with Ireland is “deeper than its relationship with any other member of the EU27”. She added that , with just unionists represented in the Commons, it is more important than ever to ensure that the rights of all in Northern Ireland are respected. 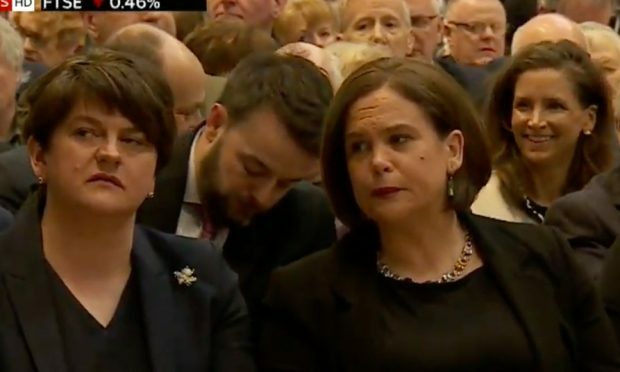 “I’m here today to affirm my commitment, and that of the UK Government, to all of the people of Northern Ireland, of every background and tradition,” she said. The prime minister also floated the prospect of a joint UK-Ireland World Cup bid for 2030 and said that “the ties of family and friendship between the UK and Ireland are more important than ever”.